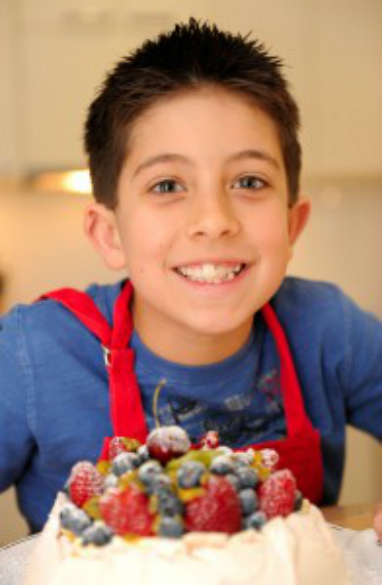 Whenever our family would watch Junior Masterchef Australia, our jaws would drop every time a contestant would make the assigned dish. It was amazing to see how, even at a young age, each ‘chefling’ would finish well and produce excellent food. 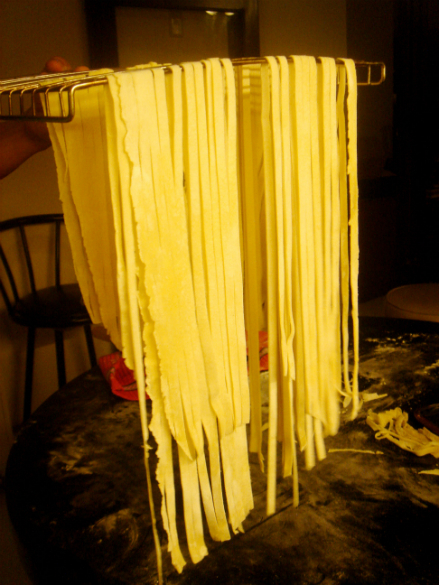 When the kids were assigned to make pasta, Anna, one of the hosts, said “Nothing beats fresh, homemade pasta. Once you taste fresh pasta, there’s no turning back.” I was intrigued by her statement and this actually led me to get my own pasta machine. By God’s grace, I attempted to make my very own homemade pasta. 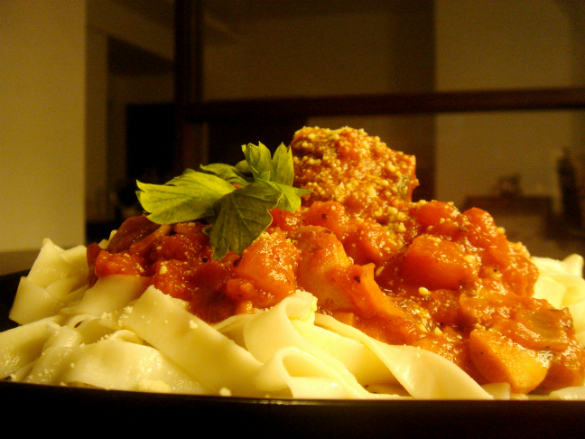 Making homemade pasta involves these activities: kneading, resting, stretching, cutting, and cooking. When I was preparing myself for the process, I was thinking: “Really? There’s no turning back? 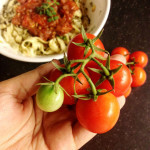 This looks more complicated than just cooking ready-made pasta. Hahaha.” Little did I know, God was preparing my heart for something more interesting than learning how to make homemade pasta dough. 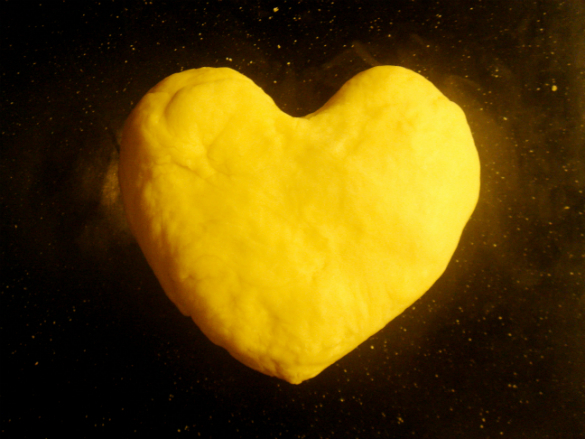 I pressed the dough down and squished it continuously (for 8 to 10 minutes) until it had a smooth texture. 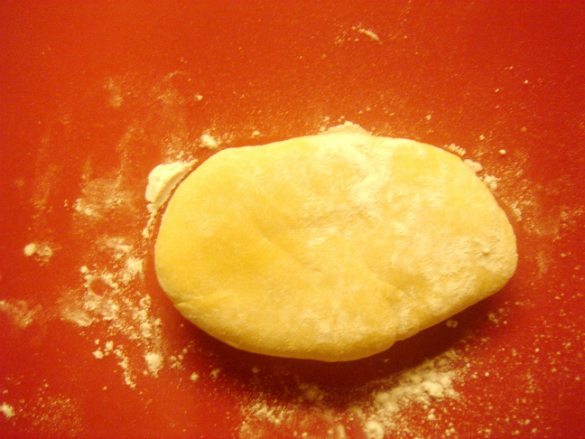 Kneading the dough produces gluten which gives elasticity to it – this helps the cook stretch the dough and eventually make it into pasta. While kneading, it seemed like I was giving the dough a really hard time because of all the punches and presses that I did. And for some reason, this made me think about the moments in my life when I would experience painful, uncomfortable, and seemingly unbearable situations; those times when I’d just feel so defeated and discouraged because of the ‘punches and presses’ in my life. 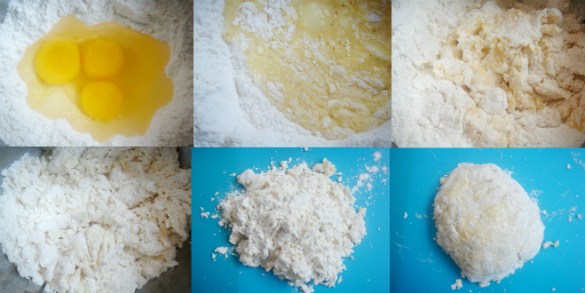 However, God made me realize that the cook kneads the homemade pasta dough for a special purpose (to make pasta noodles). In the same way, God allows things to happen to us for a special purpose. When they happen, we may not always know why, but they certainly are opportunities for us to trust in God. 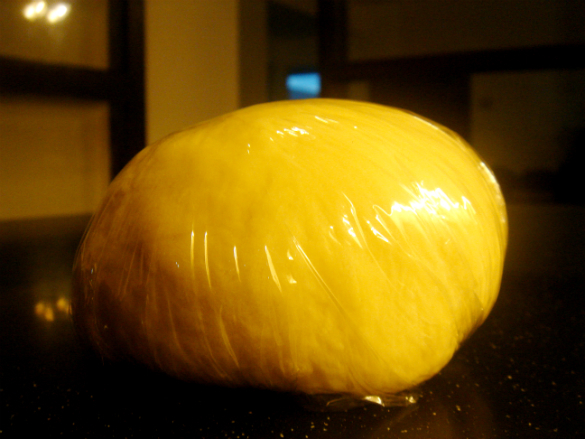 I then sprinkled the dough with flour and covered it with cling wrap for about an hour (this prevents dryness and it allows the dough to rest). 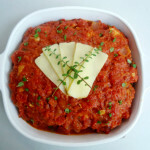 This is a crucial step because when you try to stretch dough which didn’t have enough time to rest, it will just shrink back – making it hard for the cook to get a stretched, thin dough. In the same way, this step reminded me of how crucial it is to rest on who God is and not to worry about my painful and uncomfortable situations. Just like the dough that isn’t rested, when my heart and mind are not rested in God, I can easily “shrink back” to panicking, worrying, complaining, and losing the joy and hope that I have in God. 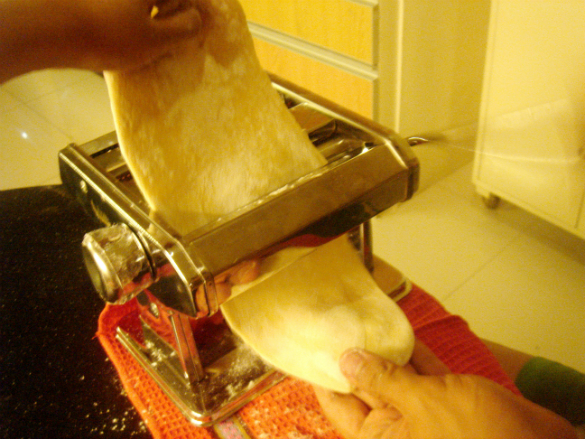 My younger brother, Gabo, helped me stretch the dough using the pasta machine. We placed ¼ of the whole dough into the machine and rolled it out 5 times (adjusting the machine each time to make the dough thinner). 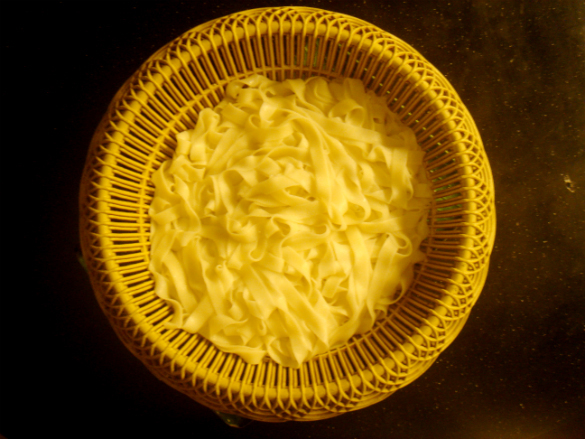 It was amazing to see how a small piece of the homemade pasta dough could be stretched long and be used to make a lot of noodles. God encouraged me through this and reminded me that He is also able to use us and bring out the best in us, even during the times when we experience pain and constantly face uncertainties. There was also a time when a part of the rolled dough was sliding away and moving to the side of the machine while it was being rolled. 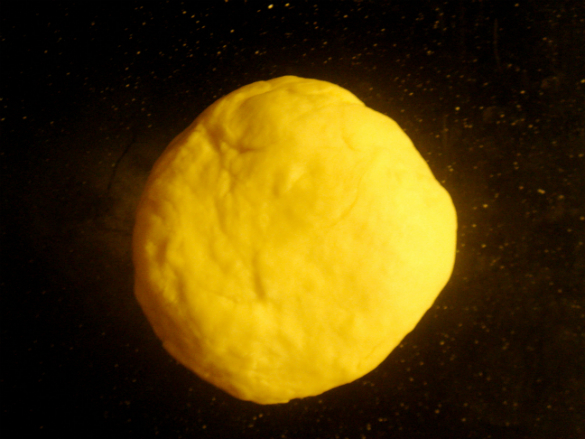 This resulted in a crooked and uneven thin pasta dough. And although I had to exert extra effort, I still decided to take the messed up pasta dough, mold it and roll it out again using the machine. I did that because I knew it was worth it; I had a purpose for it. Similarly, God showed me that even if I make mistakes or sometimes, am stubborn like the dough, He still would graciously pick me up, mold me, and stretch me to become the person that He wants me to be. This encourages me even more to constantly humble myself before God and seek Him in my life. By His grace, He works in our lives; He meets us where we are; and He uses what He has given us for His will and glory. 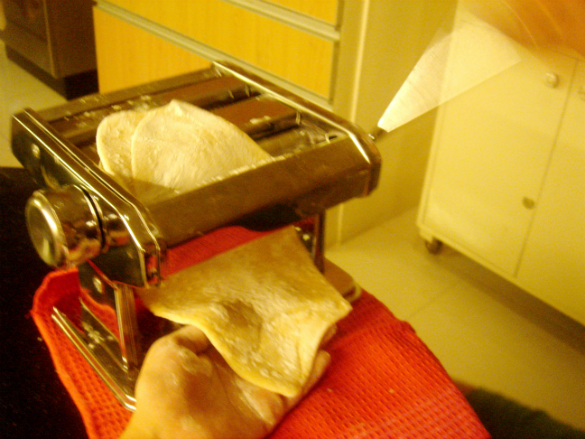 After making the dough thin enough, I then used the pasta machine to cut the pasta dough. After letting it dry for a few minutes, I cooked and served the noodles with tomato sauce and meatballs. Looking back, I realized that in spite of the challenging tasks and discouragements, the cheflings in the Junior Masterchef Australia finished well; they tried their best to prepare the food; and they persevered until the end with the help of the gracious masterchefs who were by their side. In the same way, whether or not we experience pain, uncertainties, and challenges in life; I’ve learned that we must choose to trust in God and follow Him even during times when we are being stretched by Him. We must also choose to give Him the best that we can wherever he places us (at home, in school, at work, etc.). Just like the masterchefs, I am reminded that our God is a gracious God and He is more than willing to help us finish well for His glory. thanks for this, nicole!!! :D blessed by the lessons. 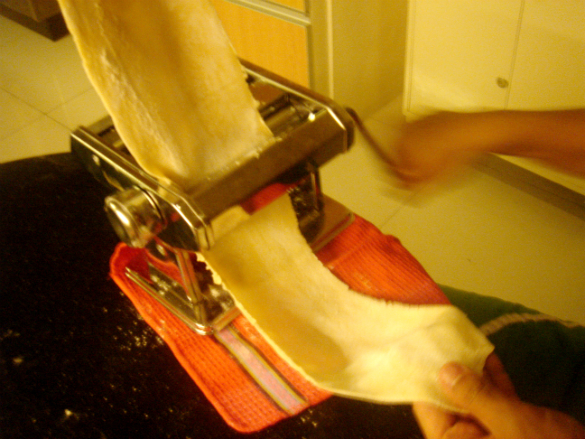 as for the recipe, pasta-making… pilitin ko muna sarili ko to do it. hahahaha..
HAHAHA! 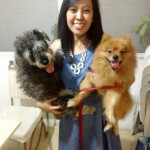 Hi Glenys! Praise God! :P See you around. Abby! Only by GOD’S GRACE! :) Salamat sa encouragement. >:D< Miss you!!! Hope you're doing good. krikri! Cute mo forever! Haha. Thank you. :) Cool ni God! Hi Darren! :) Wow. Praise God. :D Long time no see! hehe. I hope you’re doing good. Nicole! I saw this entry and my mom and I have been wanting to buy a pasta machine. (Also because of “Junior Masterchef”, haha!) What brand did you get, by the way? And how much, if you don’t mind? I totally agree with you. Nothing beats homemade pasta. 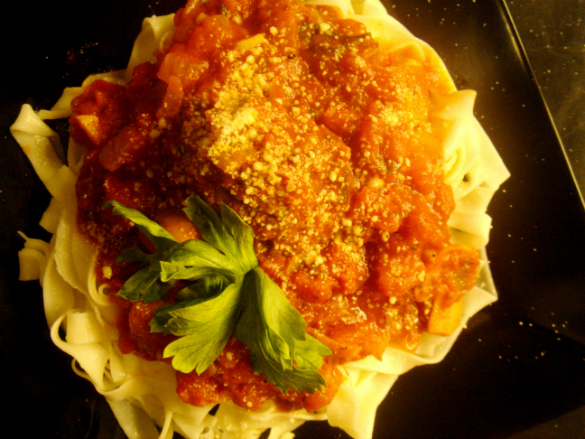 Personally, I use semolina flour to make pasta and it tastes really good! 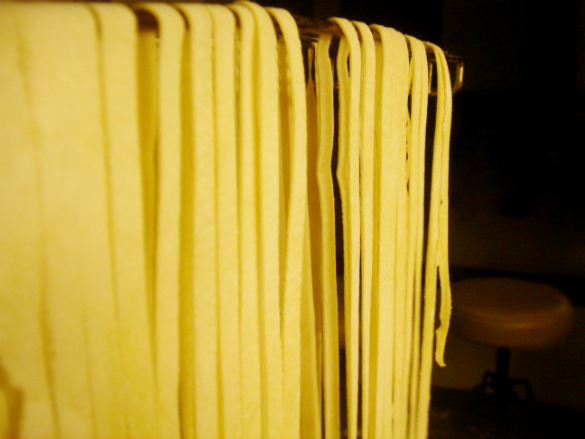 LOVE the homemade, fresh pasta! My goal for 2016 is to pull my pasta maker out of the cupboard way more than in 2015 when I was kind of lazy. Previous Previous post: So, You’re Insecure?